The Esoteric Fashionistas: 365: Levis "501"
When devising my styling for my Levi's 501, it was important to me that I consider the year of their creation, 1890, and the fashion of the time. With Spring amongst us and Summer soon to be in our midst, I went for what would have been a typical look for men in the warmer months of 1900’s. When developing how I could make my 501's unique. I wanted to incorporate an alteration that Levi's has never released with their jeans (or at least that I know of) but that they would plausibly consider as a future design feature. An alteration that would fit within the realms of Levi's classic style and fan base. I have an affinity for suspenders which just so happen to be a staple piece for men of the late 19th to early 20th century. So it was a "no-brainer" to include them but the question was how? I recall I had a set of suspenders that came with button hole straps which could suit any pants that came equipped with buttons to support them. However, since my 501’s didn’t have this feature I took it upon my self to apply them. 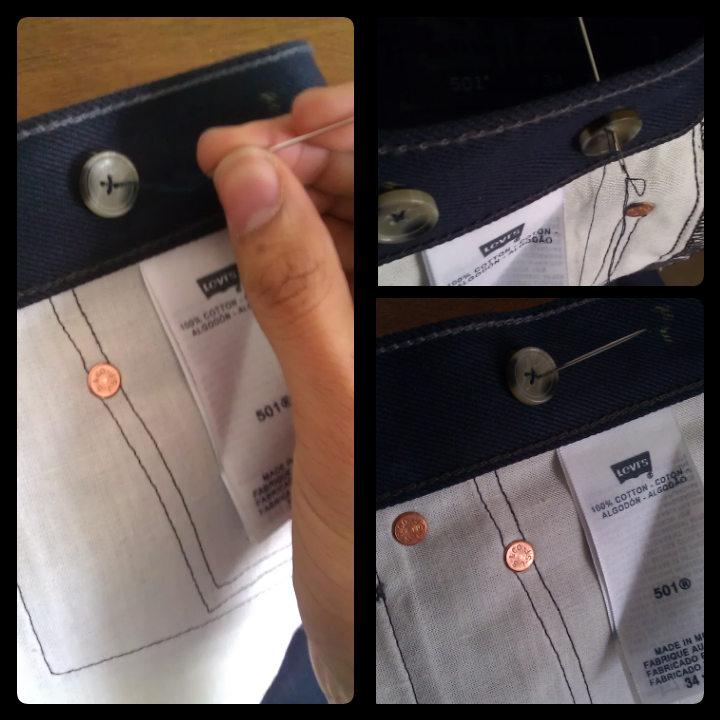 I sewed in 6 buttons (2 on the left, right and back) on the inside of the waist band. I choose the inside of the waist band rather than the outside so as to give it an overall clean look when worn with the suspenders; But so that the buttons also wouldn't be an obstruction when I desired to wear them with a belt. Hope you guys enjoyed the look and my customization… until next time….